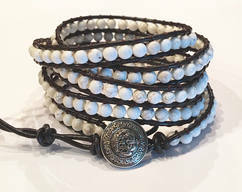 This 20-22 inch white leather triple wrap bracelet is hand sewn with 8mm amazonite gemstone beads. 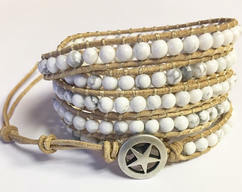 This bracelet wraps around your wrist three times and does up with a family tree metal shank and leather loop. 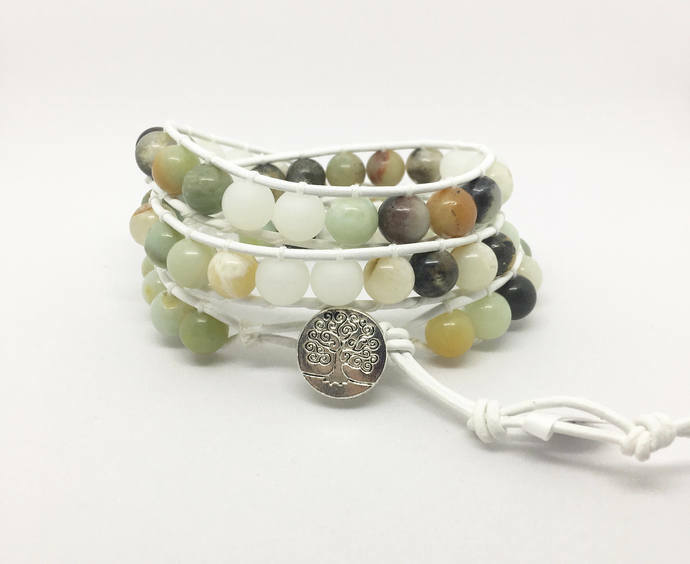 This bracelet can also be worn as a necklace. 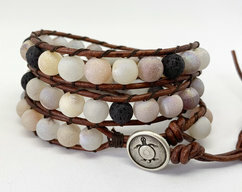 This would make a perfect go with everything wrap bracelet, with its nice earthy balance. 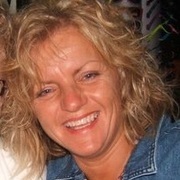 Fun with all outfits and occasions! 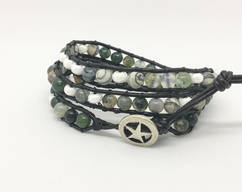 If you Love this bracelet but wanted to change the color of the heads or the color of the leather, feel free to message me as I do custom order. All The Sage Collection designs are handmade with special care for unique detail and quality. All bracelets are shipped with a organza bag for storage.